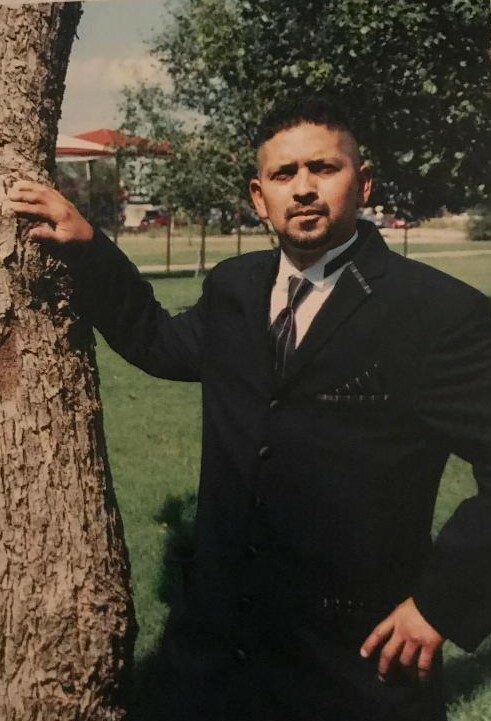 Jaime R. Alvarado, 47, of Lubbock passed away April 9, 2019 in Lubbock, TX. He was born September 19, 1971 in Lubbock, TX. Jaime married Leticia G. Alvarado on April 1, 2011 in Lubbock. He loved his family deeply and enjoyed spending time together. He was a Redskin fan and loved baseball. Jaime is survived by his wife, Leticia G. Alvarado; sons, Jaime Alvarado Jr., Eddie Alvarado, Damien Colon, Austin Alvarado, and Xavier Perez; daughter, Brittany Alvarado and son-in-law Joshua D. Crawford; three grandchildren, Alva Alvarado, Noah James Alvarado, Iana Perez; brothers, Juan D. Alvarado, Jr., Sandino Alvarado; sister, Irene Martinez and brother-in-law, Jerry Martinez; his father Juan D. Alvarado, Sr.; nieces Michelle Alvarado, Becky Alvarado, Crystal Alvarado, and Alexa Lozano; nephews Joseph Alvarado, Xavier Alvarado, Nathan Alvarado, Ernest Martinez, Jerry Martinez, Jr., and Alexander Alvarado. He is preceded in death by his mother, Sylvia R. Alvarado. A prayer service will be held Friday, April 12, 2019 at 7:00 pm at Guajardo Funeral Chapels. Funeral services will be held Saturday, April 13, 2019 at 10:00 am at the Hispana Baptist Church in Lubbock, TX. Interment will follow at the Inglewood Cemetery in Slaton, TX under the direction of Guajardo Funeral Chapels.